A light meal will be served during each workshop. 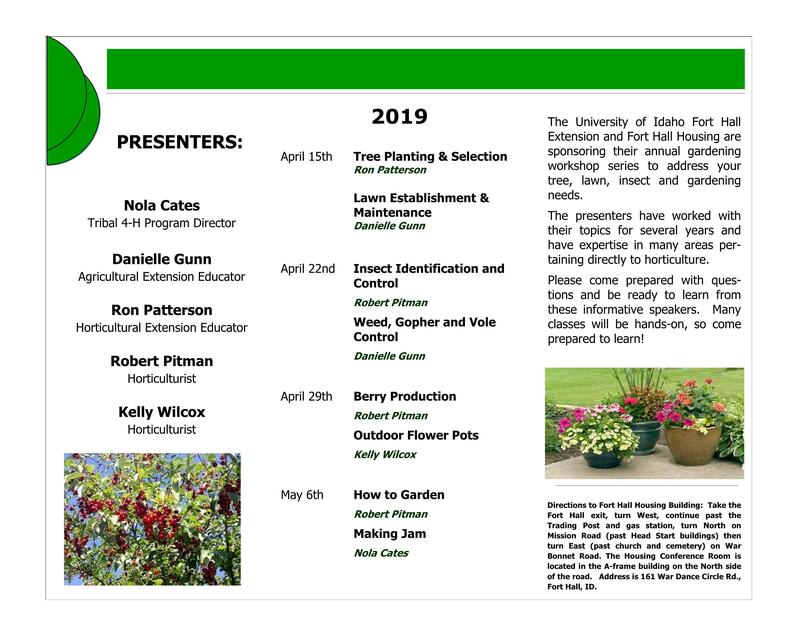 For more info about the workshop series call Danielle Gunn at 208-236-1046. 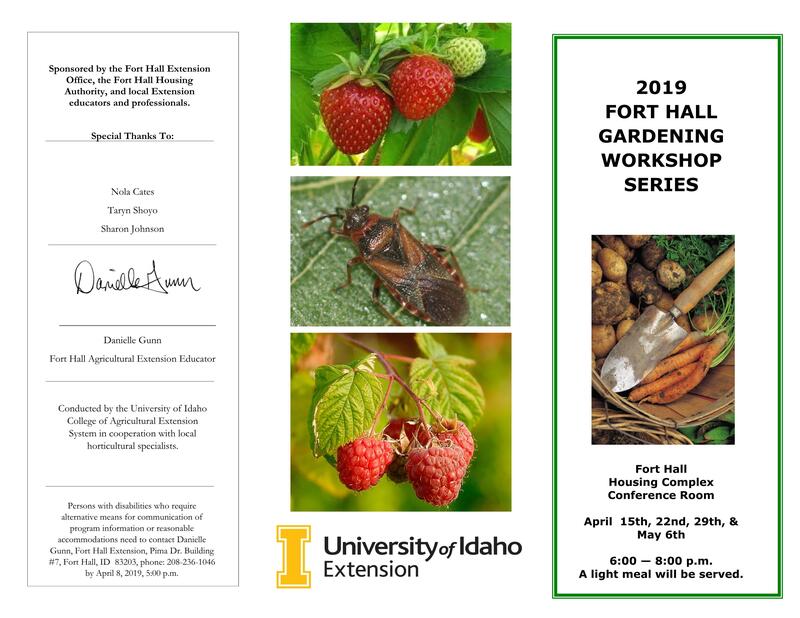 The workshop is conducted by the University of Idaho College of Agricultural Extension System in cooperation with local horticultural specialists.